Like an old-school mic check, the gragger is a Jewish noisemaker traditionally used to lift up our voices in the name of liberation and justice. 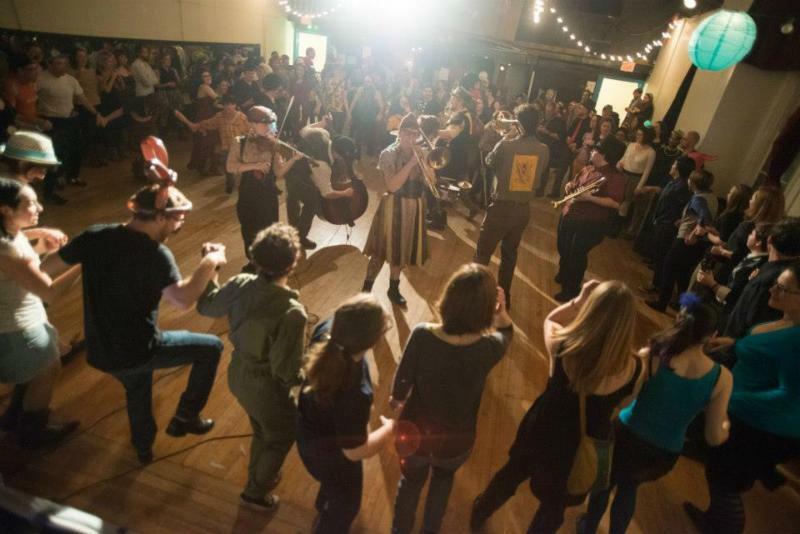 On Saturday, February 24th, Boston Workmen's Circle is hosting its 11th annual raucous, radical Purim extravaganza, featuring DJ Lady Spindrift, Second Line Brass Band, and a radical retelling of the Purim Story (Purim Shpiel) based on social justice issues today. Gragger is a chance to dress in costume, dance the night away, and celebrate your favorite Biblical feminists! Cover is $10 - $36, sliding scale. Nobody will be turned away for lack of funds. 18+, 21+ to drink with ID. Event is wheelchair accessible. Come dressed in costume*! Your zaniest, truest iteration of self! Check out pictures from last year for inspiration. *Racist costumes will be denied entry. Non-trans people, consider the message you're sending if you choose to cross dress. Not sure about your costume? Ask Liz.